Oh it’s almost October and I can hardly contain myself. Every day when the sun goes down a little earlier and the air is a little crisper, a feeling of elation passes over me. I adore fall time. I’ve already been plotting decorations, and last week a few lady friends came over for some crafting. 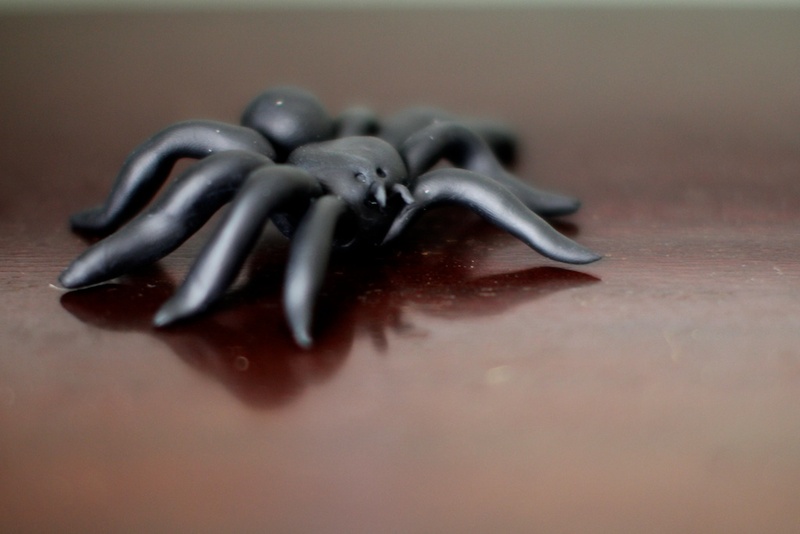 With Halloween on our minds, everything we created had a sort of holiday theme. 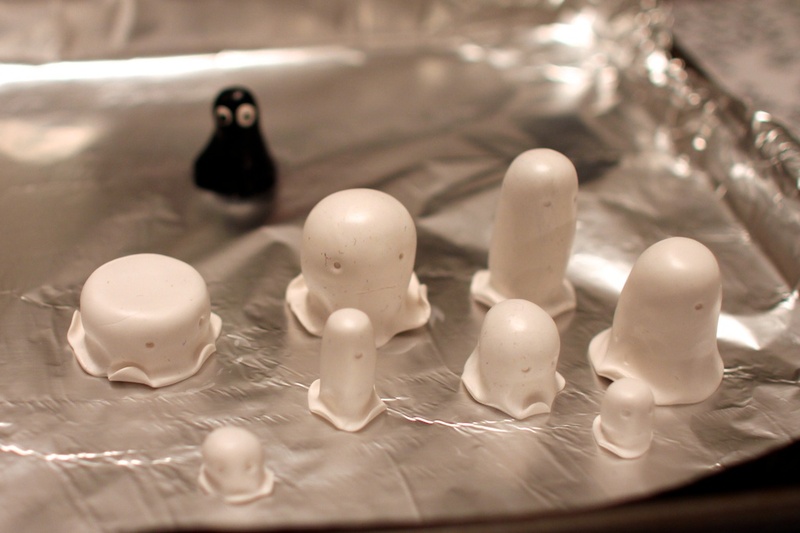 A gaggle of ghosts were born. Or unborn? Not sure with those ghosts. It was nice to spend the evening with some lovely women and talk about anything while we worked on our little projects. At the end of the night I had a few ghosties of my own, and a dear little spider. 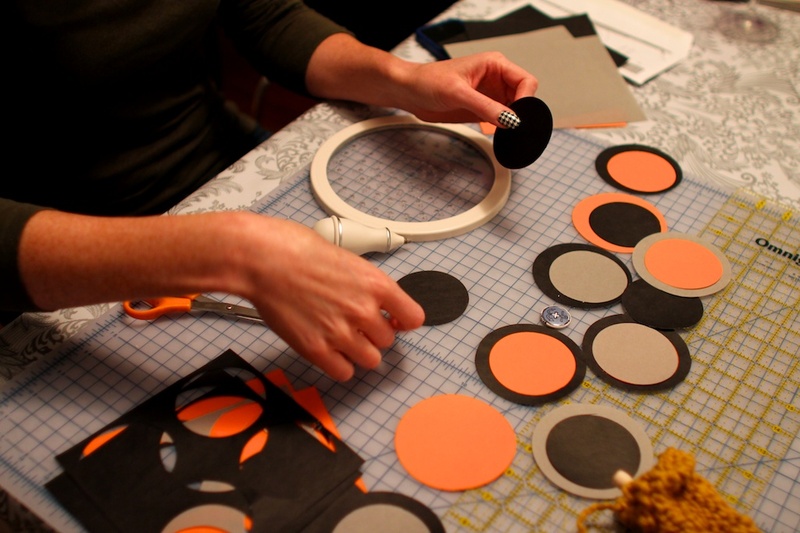 I can’t wait till our next craft night…I foresee pumpkin carving! 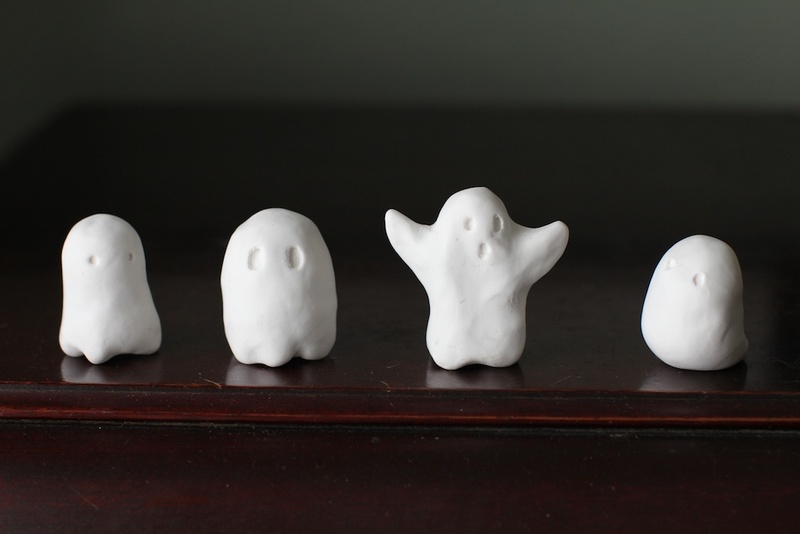 I would love to have some of those little ghosts for my bookshelves. You should sell them on etsy – hint*hint 🙂 I don’t know what it is, but something about decorating the house for halloween makes me so, so happy. Super cute ghosts and spider- what did you use to form them? I am so excited for fall, and insanely excited to see the impending Halloween take over on your blog. 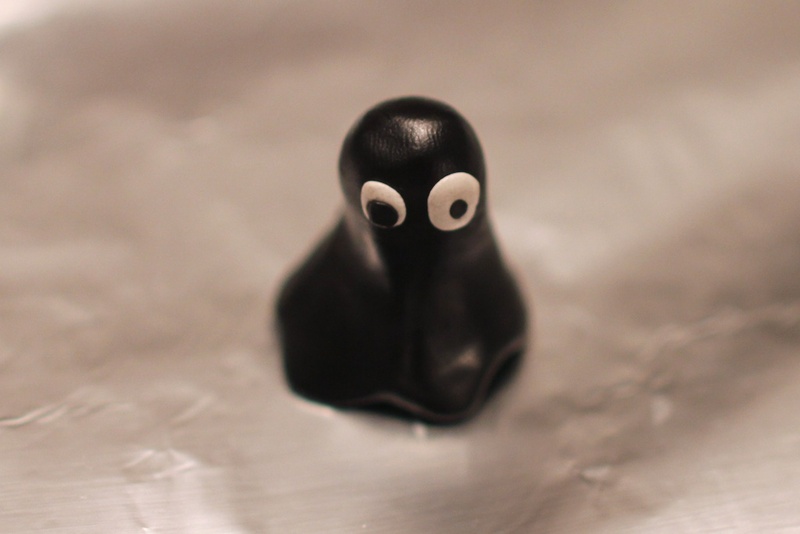 How did you make the ghosts? They are so cute!